In Japan’s Imperial Garden, courtly manners and nature’s beauty veil a dark political conspiracy among two influential clans. 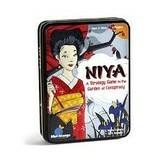 On each turn, players replace a garden tile with one of their clan tokens. 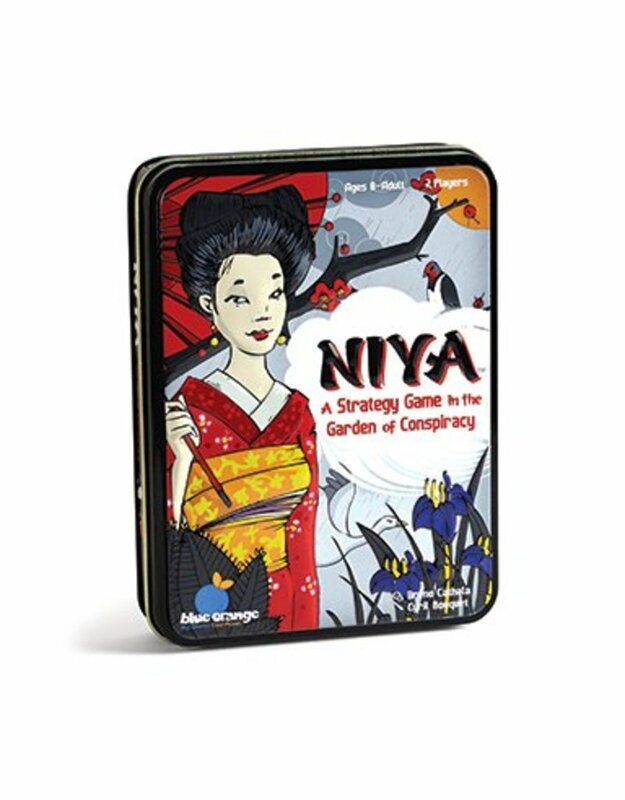 The next player can only exchange a token for a garden tile that has an element in common with the previously chosen tile. 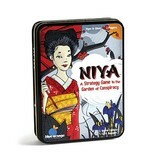 The first to position their clan in a row, square, or blockade will win control of the garden…and power at court! 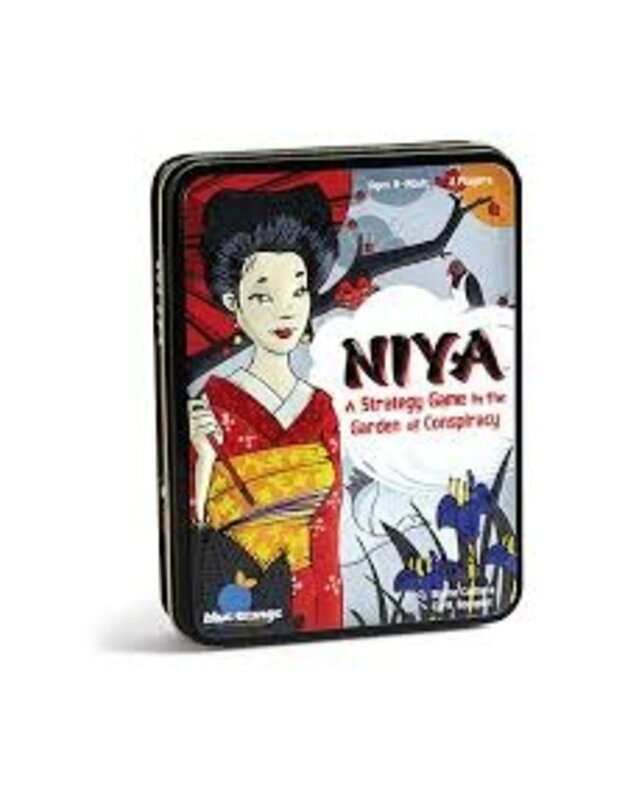 A simple yet sophisticated abstract strategy game, Niya captivates players young and old.